Member of House of Commons almost 30 years, truthy George Galloway reflects on the #treasonsummit "liberal" outcry in the US, as Trump's bad manners are seen to be worse than nuclear annihilation. I’ve been writing about Russiagate since it started, and I can honestly say this is the worst it’s ever been, by far. The most hysterical, the most shrill, the most emotional, the most cartoonishly over-the-top and hyperbolic. The fact that Trump met with Putin in private and then publicly expressed doubt about the establishment Russia narrative has sent some political factions of America into an emotional state that is indistinguishable from what you’d expect if Russia had bombed New York City. FBI Chief Christopher Wray dismissed Russian President Vladimir Putin's offer for US law enforcement agents to travel to Russia and interview the subjects of last week's DOJ indictment, saying "that's not high on our list of investigative techniques"during a Q&A with CNN's Lester Holt at the Aspen Security Forum. He also threatened to quit if President Trump were to override him and insist on indulging Putin's request to have Russian agents interview Michael McFaul, the ambassador to Russia during the Obama administration - after Sarah Huckabee Sanders said the administration was open to the request. It's not Putin who "owns" Trump; never was. Putin just has things the US really needs right now. On Tuesday an Israeli television channel aired leaked video footage it obtained exclusively showing Prime Minister Benjamin Netanyahu boasting that he had personally convinced President Trump to abandon the Iran nuclear deal. The statements were made at a small dinner event where he addressed senior members of his Likud party. The video, aired by Israel's Kan News shows Netanyahu enthusiastically praising his and Likud leadership's efforts, saying “We convinced the US president [to exit the deal] and I had to stand up against the whole world and come out against this agreement." He added, "And we didn't give up." ​The Israeli Knesset officially declares Israel to be an Apartheid State. Washington "will consider waivers" on (illegal, unilaterally imposed) Iran sanctions, Treasury Secretary Mnuchen. Alexandria Ocasio-Cortez gets jumped on for correctly referring to Israeli (illegal, military) occupation of Palestinian territory (which all but 2 countries in the world agree upon, and it used to be all but one). "Uncle Joe" Lieberman says Joe Crowley, trounced by Ocasio-Cortez in the primary, is still a viable candidate and people should vote for him. Through a New York election fluke, he will remain on the ballot as candidate of a third party. 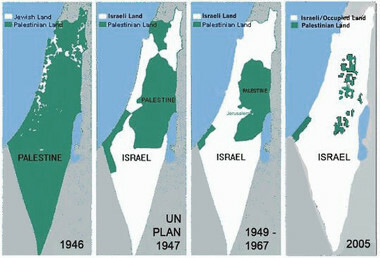 No Democrat (or Republican) dares speak the truth about Israel. That's going too far! The American media are “almost unanimously endorsing the idea that we have to have an enemy,” declares International peace and trade advocate Ron Paul, warning that "at this point, especially for the last 20 years, they’ve been working very hard to make Russia the enemy, and I think this is wrong." ​Charles Hugh Smith looks at the egalitarian societal-organizing caacity of distributed ledgers, without the massive computational (electrical waste) workload of blockchain technology. We will have to organize somehow, and paying less for more and not supporting parasitic classes, is a recipe for success.